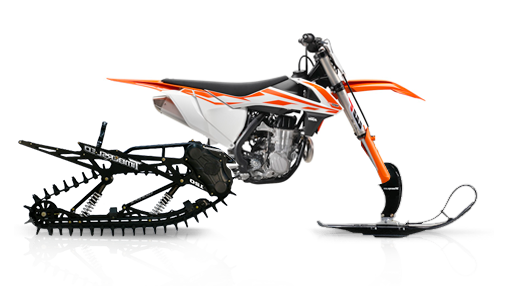 Timbersled which are also known as Snow Bikes have quickly become the fastest growing winter sport. 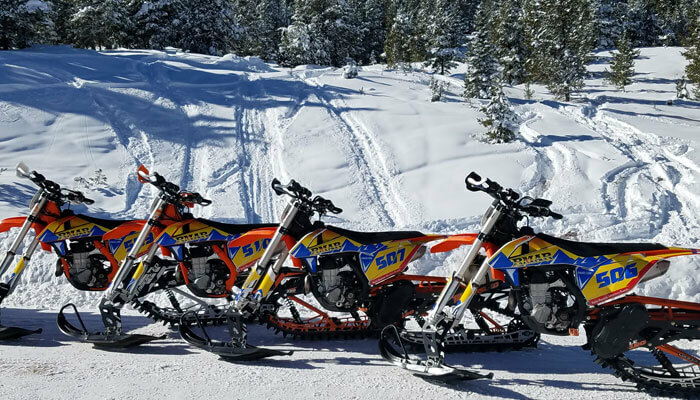 Our Timbersled Snow Bike Rentals use the 2017 KTM 450SXF bodies with the Timbersled Mountain Horse Short Track. 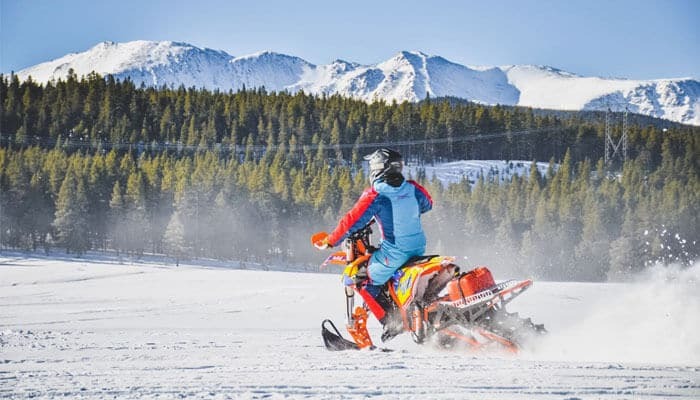 The KTM Snow Bikes offer the most power on the market and have been thoroughly tested in winter conditions. Unguided Timbersled Rentals? How does that work? Due to Forest Service Laws, we cannot legally drop machines off at Trail Heads or act as a Guided Service in the Vail, Colorado Area. What we do is provide you with a trailer at no cost and we show you were to go – you are your own guide. If you do not have a vehicle that can tow, we have a Chevy Yukon that you can rent for an added fee. 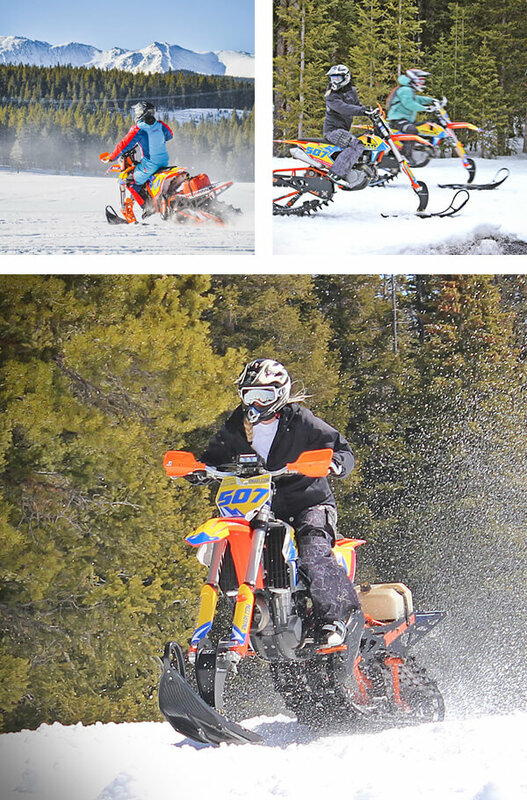 If you are looking for a guided experience, we offer Guided Timbersled Snow Bike Tours at our Buena Vista location. Don’t take our word for it. Watch Brian Deegan describe his experience on our rental bikes or watch the guys from Breed of Speed race around Vail Pass. 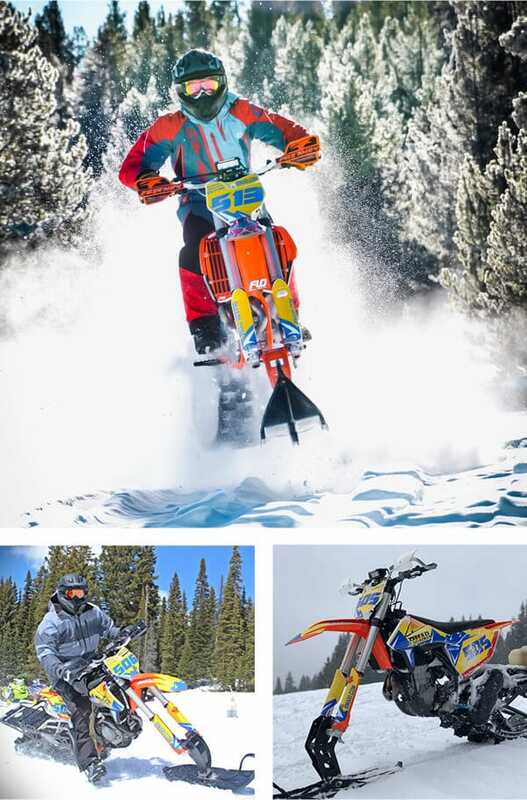 Are Timbersleds Hard to Ride? NO! 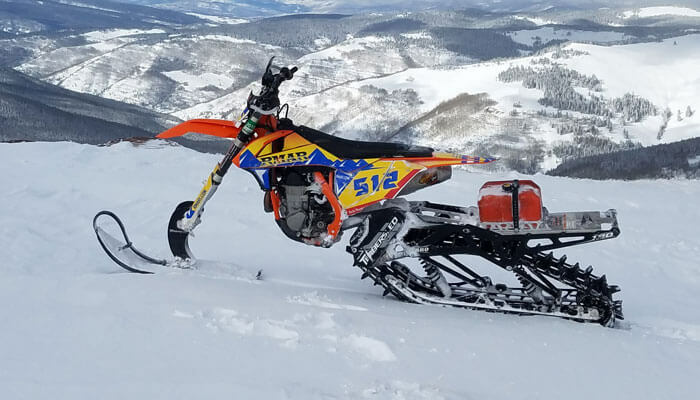 Timbersled Snow Bikes are easier to ride than a Snowmobile in the powder. They offer stability and agility when you need it and most riders who are new to the sport will usually feel comfortable on a Timbersled within the first hour of use. You Betcha! We love kids that ride and we offer the ST Ripper from Timbersled for those of you looking to get your kids into the sport.